One of the major expenses of your Disneyland vacation is your Park entrance ticket. Disneyland tickets are paper (no Walt Disney World MagicBands here!) They are also your “ticket” so-to-speak for grabbing FASTPASS throughout your vacation. Naturally, with something so important there’s a lot to learn. Here’s the scoop on what you need to know about Disneyland tickets including how to use FASTPASS, buying discounted Disneyland tickets and more. This post was originally published July 16th, 2016 – Please note that I use affiliate links in my posts. Clicking through and making a purchase helps me in a small financial way, thank you! You’re Here Because You Want Cheap Disneyland Tickets! Everyone planning a trip to Disneyland wants to save money on Disney tickets. 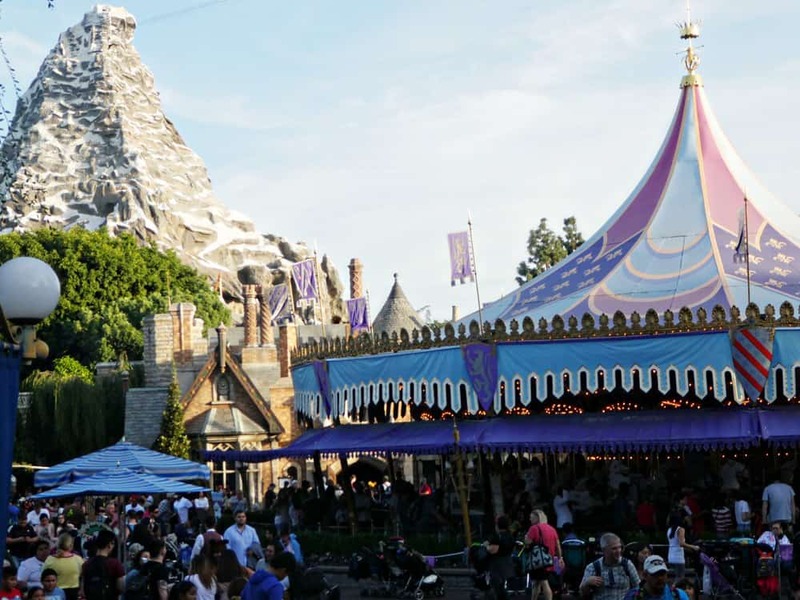 Why pay full price when there are places that sell discounted tickets?Keep reading for the best ways to save on Disneyland admission, then check out these other money-saving Disney tips. One Easy Way to Save Cash on Disney Vacations! My number one tip on buying Disneyland tickets is…. Don’t wait to buy your park tickets when you get to the park. You are able to buy park tickets on the Disneyland website. Buy Disneyland tickets from travel agencies, AAA, credit union or at Costco. They even sell tickets at the Disney Store in the mall. Some of the Anaheim Good Neighbor hotels sell them. You can even buy them at Southern California grocery stores. I recommend purchasing online through my affiliate partner Get Away Today because they are an authorized seller of discounted tickets. 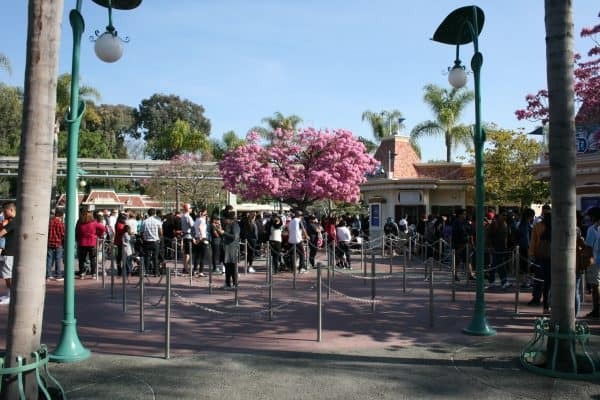 Do not buy tickets at Disneyland…that is, unless you like to stand in line for 30+ minutes when you could be getting into the park. Or if you like paying full price instead of getting a possible discount by doing a little shopping around! If you buy your tickets elsewhere, read the fine print that comes with it. Sometimes you can go directly to the front gate and they will trade your ticket in whatever form it is (it might look like a plain print-out or like a plastic gift card) for an official park ticket right then and there. Other pre-purchased tickets will request that you go to the ticket booth in advance. If you have to do this, I suggest trading them for your actual park tickets on the day before you enter the parks to save time. Lined up in the morning at the box office…when they could be in the Park! What a Park Hopper and Should I Buy One? 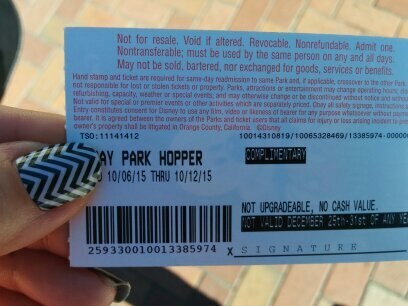 A Disneyland ticket with a Park Hopper option allows guests to visit both Disneyland and Disney California Adventure Park on the same day. 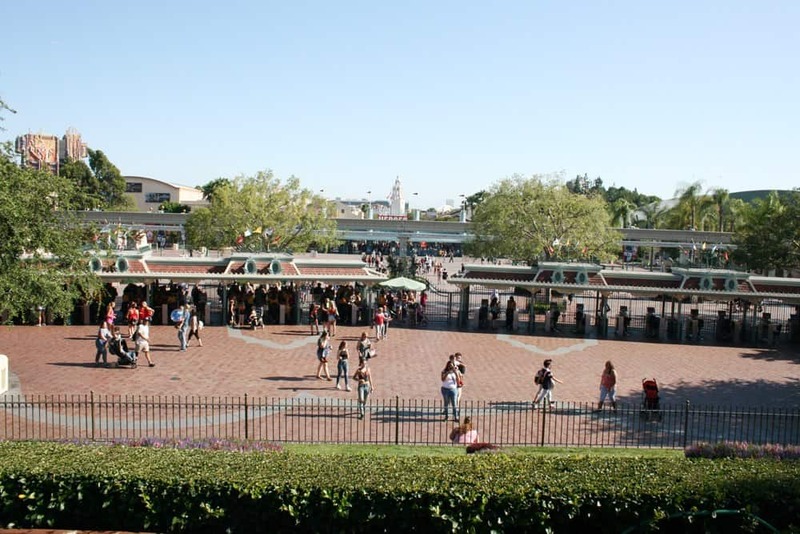 “Hopping” between Parks is generally quick (they are just across a short esplanade from each other) though re-entry to Disneyland specifically can sometimes take longer on busy days. Park Hoppers do add a bit more cost to your ticket price. If you are staying for only 1 or 2 days, I would highly recommend a Park Hopper option. This way you’ll be able to make the best use of your mornings by hitting popular rides, grabbing FASTPASS and going back and forth between the Parks. If you are staying for 3+ days, I would purchase non-Park Hoppers because you’ll be able to spend more time exploring each Park thoroughly by staying in one each day. You’ll also get a better rate on 3+ day tickets. Inside Disneyland (on the train) and you can see the entrance to California Adventure – that’s how close it is to Park Hop! Are There Cheap One Day Disneyland Tickets? Generally the more in-park days you purchase upfront, the better discount you’ll be getting. Consider one of the Annual Passports if you plan on going back at any point during the year or if your vacation is going to be longer. If you purchase a Signature annual pass, you’ll have no blackout dates, receive free parking, food discounts and some retail shop discounts as well. 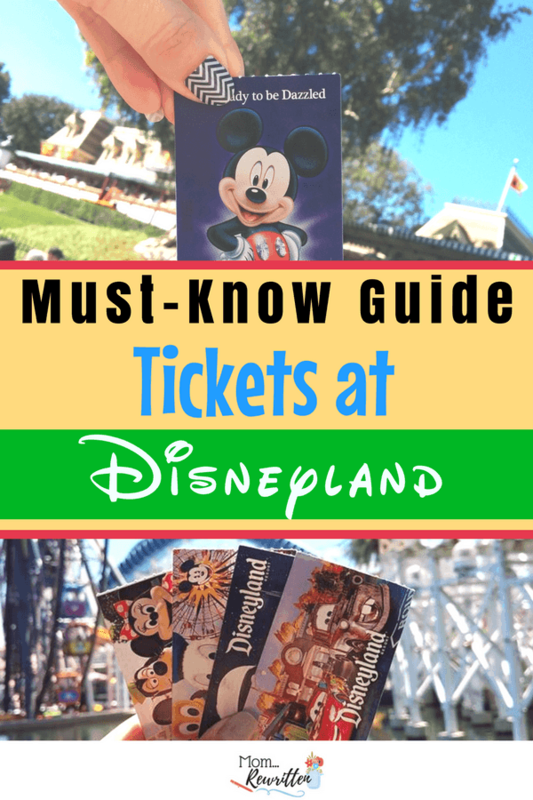 Where Can You Get Discounted Disneyland Tickets? Can you get cheap Disneyland tickets at Costco. Yes, you can also purchase Disneyland park tickets at AAA, but often the cheapest way is via authorized ticket sellers online. I highly recommend purchasing tickets from Get Away Today online as they are an authorized seller of discount tickets for Disneyland, Walt Disney World, Knott’s Berry Farm, Universal Studios and LEGOLAND . They also offer the SoCal City Pass which includes tickets to Disneyland as well as other Southern California theme parks. You’ll save buying the set of attraction tickets versus buying individual tickets for each park. Stay at one of the Disneyland Resort Hotels and book one of their travel packages, which can include park tickets at a discounted rate. Of course, staying at a Disneyland resort hotel is going to cost more than an off-site hotel. Get Away Today also offers discounted vacation packages, so I’d definitely request a quote from them first! You can even place your vacation on layaway with Get Away Today and pay in installments. If you are a Southern California resident you often have the advantage of receiving discounted prices on short visit tickets during certain times of the year. You’ll need proof of residence upon entry to the Park. Military, teachers and some other professionals may receive discounts through your employer. Keep in mind that a 1-day ticket price has seasonal pricing based on when the Park crowds are “peak” (more expensive ticket), “regular” or “value”(less expensive ticket). You’ll pay more to visit on the weekends and holiday seasons. Unless you are very tight on time and only have one day, you should definitely avoid the 1-day ticket. How Do I Use My Ticket for a FASTPASS? FASTPASS is a way for you to get a “reservation” in a shorter line for a particular ride. FASTPASS is free so there’s no reason not to try it! Each of the following attractions have a FASTPASS Distribution Area where you will scan in your park ticket and in return be given a special FASTPASS “return” ticket. This will have a window of time printed on it for you to come back to the attraction and be able to take a “short-cut” by using the designated FASTPASS line instead of standing in the regular line-up. I always use FASTPASS whenever possible. Of course there are days you won’t need to use it, like if the park isn’t terribly crowded. I’ve even encounted days when Disneyland doesn’t offer the FASTPASS because the lines are short enough already. However there are certain rides I absolutely will not wait in the regular line-up and will only use FASTPASS for. 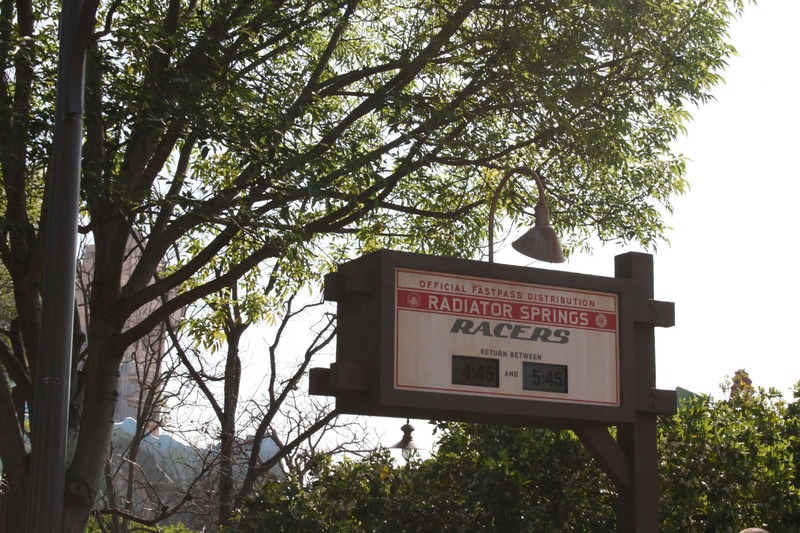 Radiator Springs Racers is one ride that you should grab a FASTPASS for first thing in the morning. 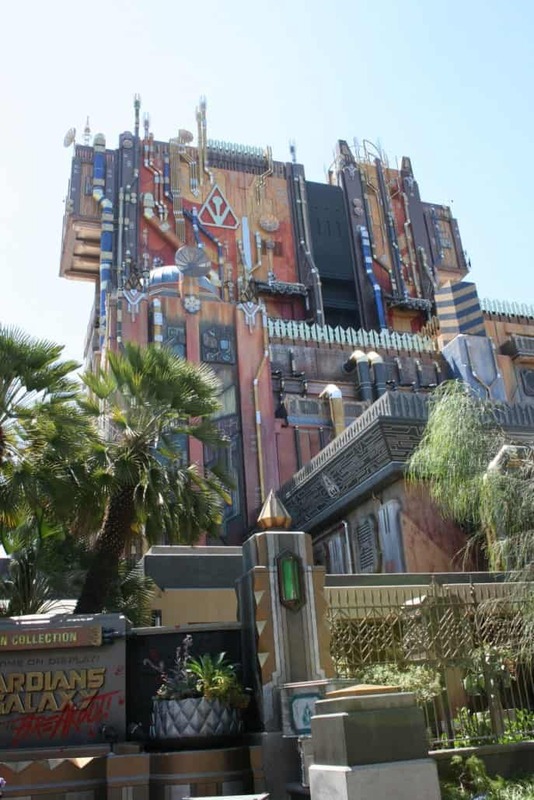 Any newer attractions, like Guardians of the Galaxy: Mission Breakout! will have a long wait in stand-by so nabbing a FASTPASS if you want to see it is imperative. The best use of FASTPASS is to have a game plan of things to do until the FASTPASS time is ready. For instance, the Star Tours line is always long and I always get a FASTPASS for this. You’ll have about 40 minutes to wait until your FASTPASS is valid so you could ride the Disneyland Railroad all the way around the Park, go on the Finding Nemo Submarine Voyage, watch the Star Wars show that’s close by or go inside the Star Wars Launch Bay for a while. The point is to do something else while you are waiting for your FASTPASS time to come up. Make the best use of your time and find something else in that area to occupy you until your FASTPASS time is ready! When you approach the FASTPASS Distribution Area for a particular ride, pay note to the time frame that you will be asked to return. If the Park is really crowded your return time might be a few hours out. There is even a chance that FASTPASS will not be available on extremely busy days because they will be “filled up” very early in the day. This happened to us for Soarin’ last time we visited on a busy weekend. It was about noon and the FASTPASS times weren’t available until after 6pm! Each person in your party will need their own FASTPASS. This means you’ll have to individually scan in each person’s ticket so they will each get a FASTPASS. MaxPass eliminates your need to use paper tickets for FASTPASS, booking them on your smart device instead. You’ll still need your ticket (or to scan the app in your device) when you return to the time at your scheduled time. 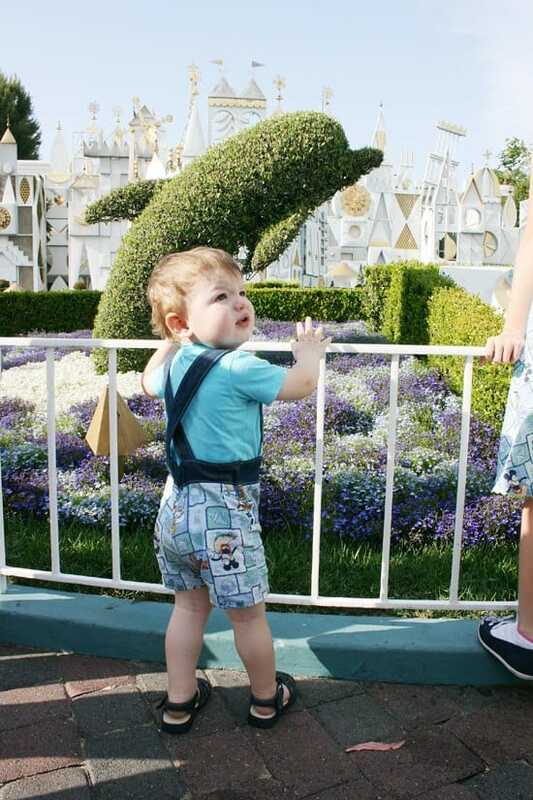 For more tips on MaxPass, read Top 21 Disneyland MaxPass Questions Answered by my friend Leslie at Trips with Tykes. Do Babies Need a Disneyland Ticket? Kids under three don’t need a Park ticket. You may decide mid-vacation that you’d like to upgrade to a Disneyland Annual Pass. You can apply the amount that you paid for the ticket (so long as it hasn’t expired) to the cost for the Annual Passport. If you buy the AP, consider which pass makes the best sense for you and your family. Different AP have certain blockout dates so check the calendar before deciding which one is best for you. Keep in mind that you can mix and match AP within your family to get the best deal that works for you. When I had AP, my boys had the SoCal Passport and I had the Premium (now called Signature). This meant that I could get free parking and a discount on food and some merchandise. There was no reason for the kids to have the Premium because they would never be at the park without me. I would be making all the purchases, so I was the only one who needed to have the higher costing AP with the best discounts. Annual Passports have a monthly payment option (after an initial down payment) so you can take the year to pay the price of the Passport off. 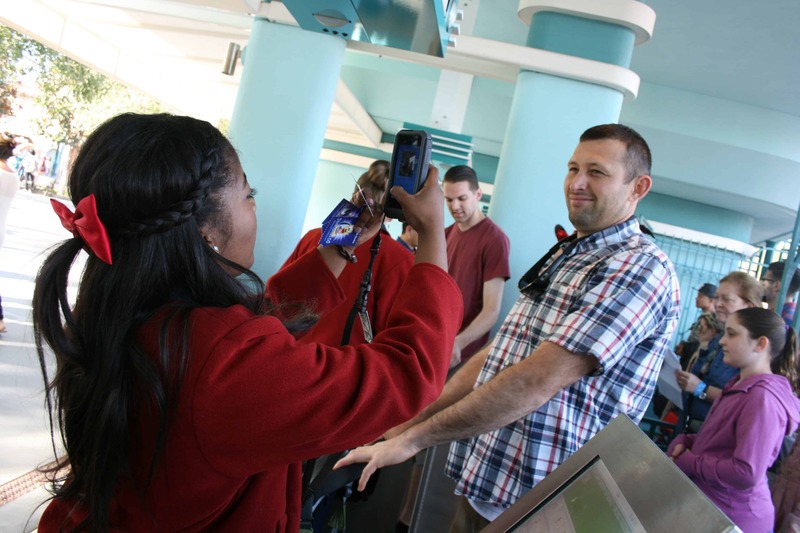 My husband having his photo taken upon entering the park for the first time with our multi-day Park Hopper ticket. What NOT to Do When Buying or Using Tickets? Don’t buy tickets on Craigslist or on Ebay. You have no way of looking at the tickets and knowing if they are valid or legal. Don’t buy tickets from anyone selling them outside the Park. Buy only from an authorized dealer. Don’t buy anyone else’s multi-day ticket from them. You have no way of knowing how many days are still valid on that ticket! Also your photo will be taken the first time you use your multi-day ticket and verified each time you enter. Take a photo of the backside of your ticket in case it gets lost. Your park ticket will allow you entrance in and out of the park for the day. You’ll also use it frequently for FASTPASS -So don’t lose your ticket! I recommend that you take a photograph of the backside of your ticket. Capture the bar code/date stamp. You’ll be able to get a replacement at Guest Relations should your ticket go missing. Make sure everyone in your group and all the tickets that were purchased are with you. Very helpful. Confirms that I should get my tickets from Get Away Today. I like the lanyard idea. The info on fast pass and maxpass were really helpful. Thank you! Thanks for all the info about all the pass options and especially the max pass! Super helpful! Great tips! Looking forward to our second trip this year!